Browse our charming collection of caraway recipes, including Simon Hulstone's mackerel pâté with pickled cucumber and Frances Atkins' aubergine relish, part of her picnic on a plate. 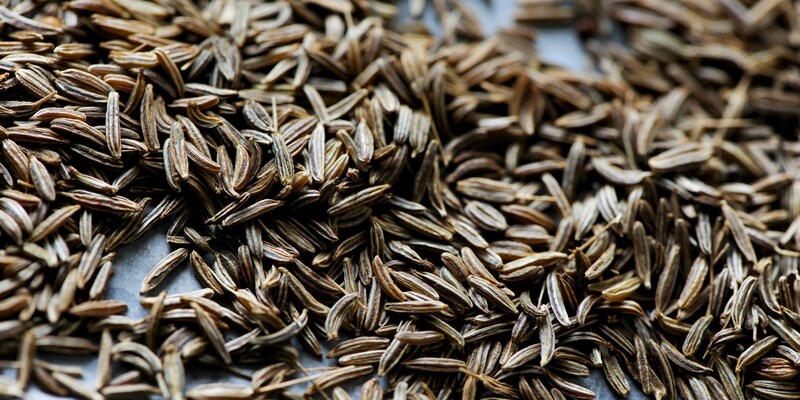 Caraway seeds have a characteristic flavour that many people either love or hate. These crescent-shaped seeds add a pungent, almost anise-like flavour to breads, casseroles, vegetable dishes, cheeses and more. Popular in European cuisine, whole caraway seeds are often found in sauerkraut, as in Mark Jordan's sauerkraut recipe to go with honey-roasted duck breast. You can also crush caraway seeds and sprinkle them over meat or vegetables before roasting. Coriander seeds combine particularly well with cumin, fennel and coriander.